Very cool, Seaman! Great find. Have to wonder what was going through that engineer's head. Meanwhile, I've finally figured out a method to consistently reproduce this. 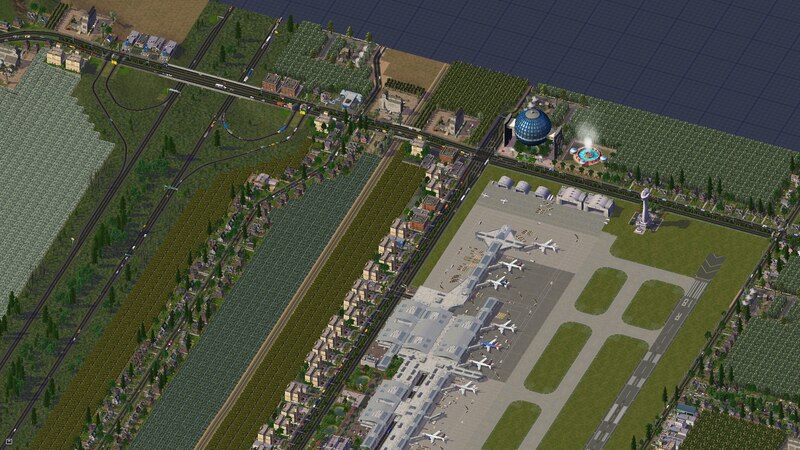 Thank goodness for the terrain height query. Looks simple, doesn't it? "Omnia dicta fortiora si dicta Latina"
I have a small idea but I have no idea if it works or not. 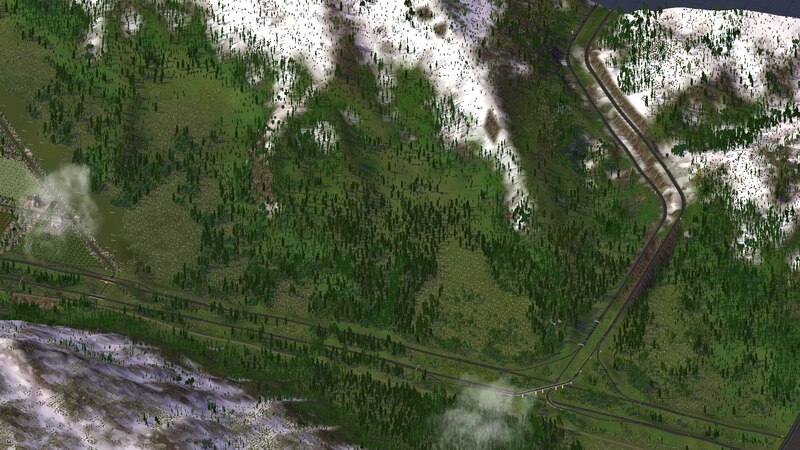 Either way, kudos, and man how I hate curves with embankments on the RHW (but I dislike the normal, non-on-slope ramps more). 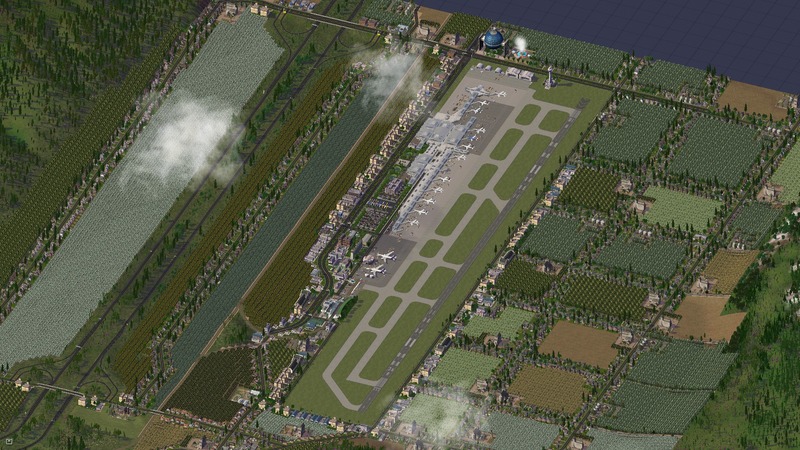 That looks very realistic! Thanks for the kind words and positive feedback, everyone. I’ll try and make a tutorial at some point. I warn you, it isn’t easy and you’ll think I’m crazy (I prefer “devoted” ). But the method is fairly reliable. 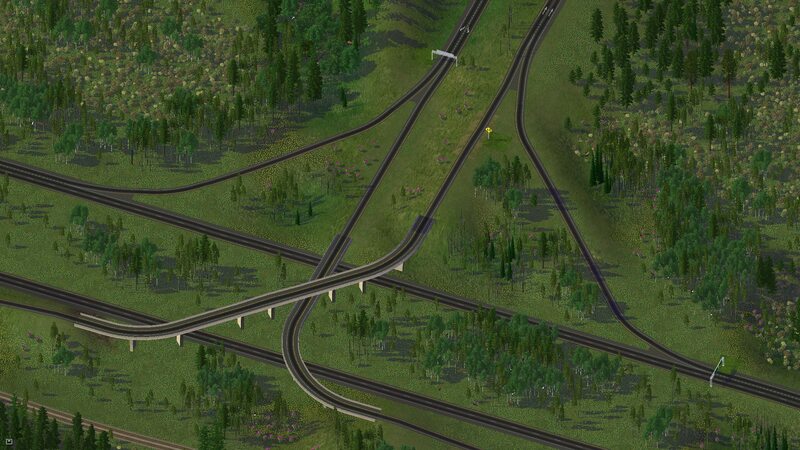 But seriously, nice work with all your interchanges! Meanwhile, I created another design study of an 8-way interchange. Highly unrealistic, but who cares . 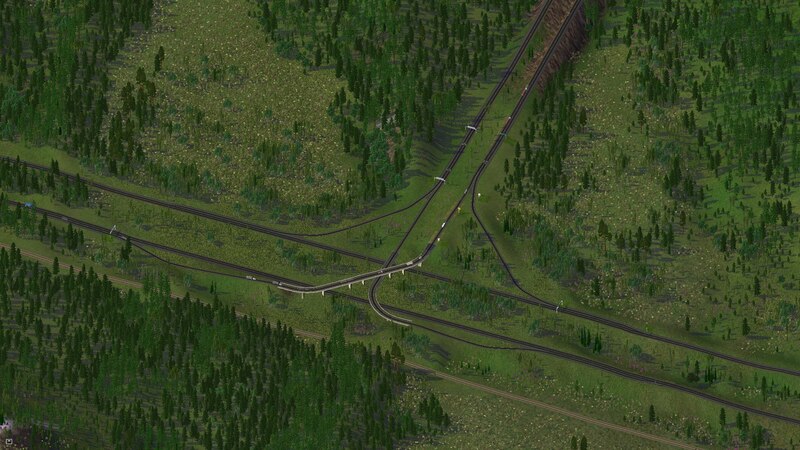 While it's a full access interchange (you can even make U-turns), it's quite small and not too complex. 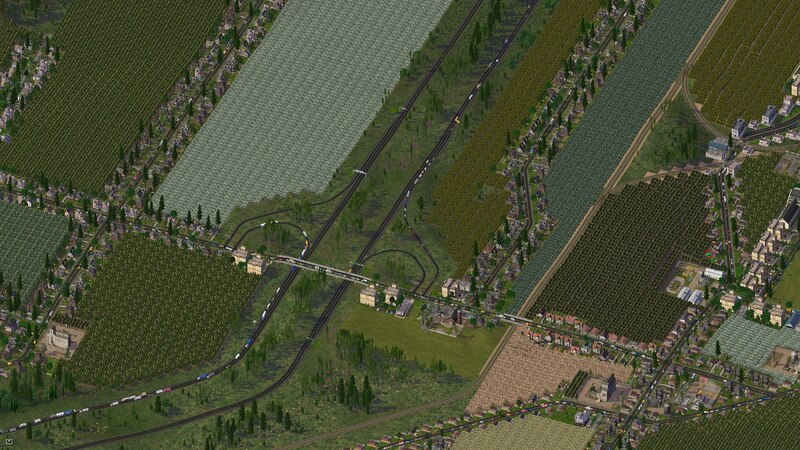 Depending on certain directions, the drivers will kill me though. 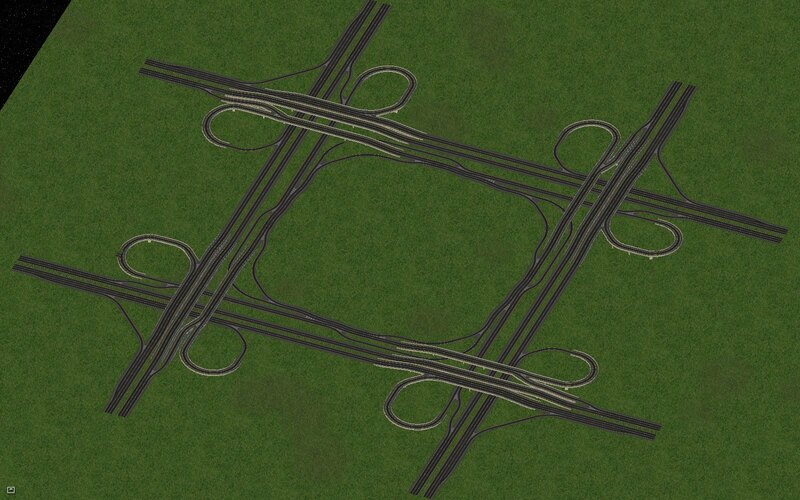 There is weaving, which I tried to mitigate by splitting up the roundabout at each turn. This prolonged the shortest weaving area to 8 tiles (or about 130m in reality). hmm... what happens with ferry connections if you cross them with the diagonal bridge enabler? The are cut off, right? I noticed one tile looks a little off, namely the sidewalk is transparent. Maybe that's just a glitch? I'm not even sure that my gradient really is smoother than yours, I honestly don't see any difference between both loops. 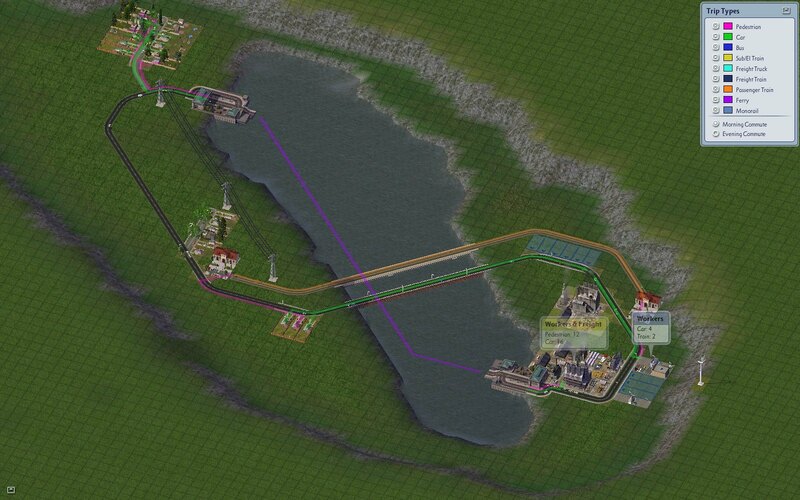 Anyway, I tried to make a short series of pictures to show how I built the loop. Here is a minimalistic tutorial on how to do it. 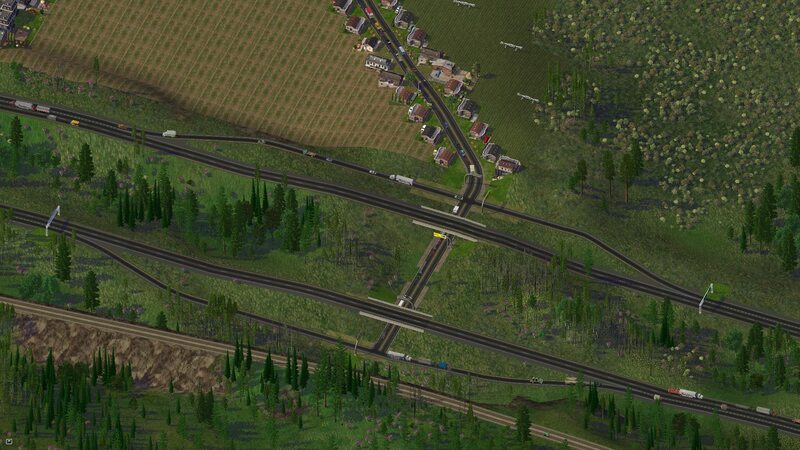 Mind that your result may be different depending on your slope mod. Put down a MIS 90° curve to see where the gradient changes from orthogonal to diagonal. Destroy the MIS and smoothen the gradient with a more restrictive network (I use the rail, as this is my most restrictive network, and can be placed directly parallel to each other); fix the end height with another ped mall piece. Do the same with the second (and, if applicable, the third) loop part. Put down the MIS curves again, they should now run along a nice gradient. 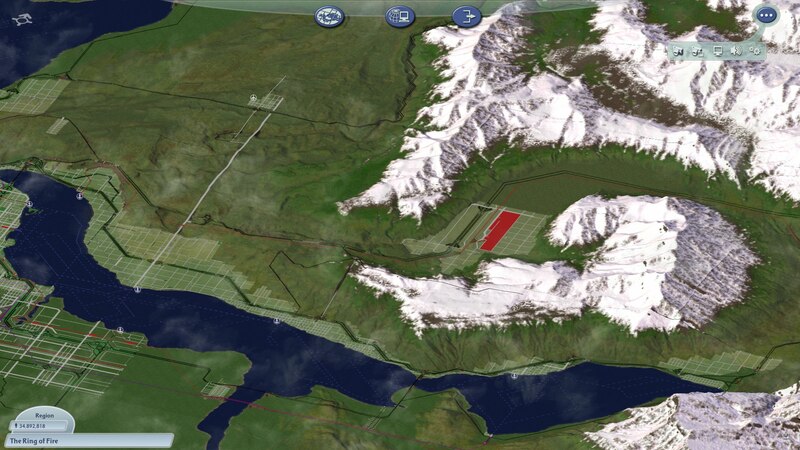 Smoothen the terrain around the slope with the terraforming tool. Use the smallest radius (Shift+1) and the weakest strength (Shift+F1) for finetuning. 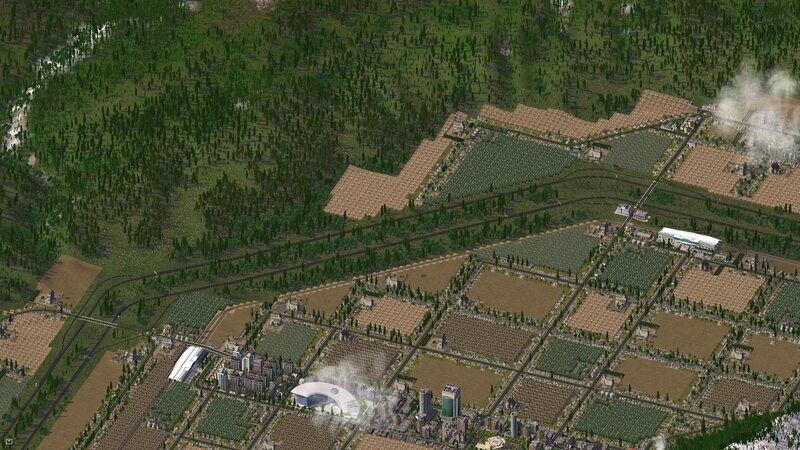 Know that the affected node is always the nearest northwest point next to the cursor, so mind the current city rotation. Very good point about the ferries; I've actually never thought about them. But no, the 'intersection' I mean has nothing to do with ferries. 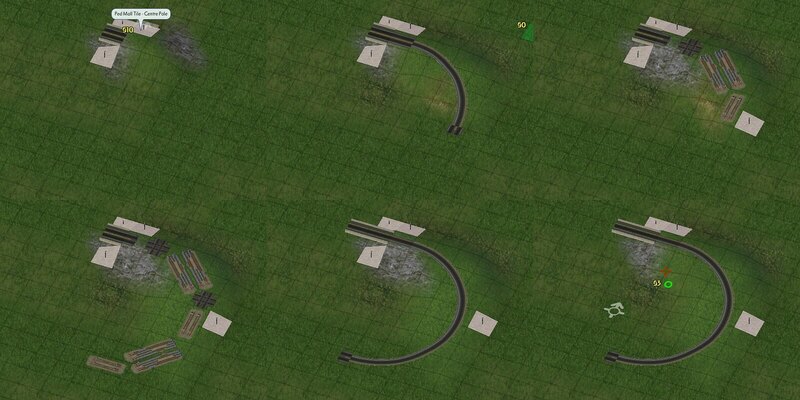 However, I now wanted to know if ferries can pass diagonal bridges, so I whipped up a scenario. Below you can clearly see that the ferry route doesn't get cut off by the bridges. I guess the reason behind is that the game counts the diagonal bridges as normal ground-based networks (which they technically still are) and thus are below the ferry route. (Some expert please correct me if I'm wrong here). 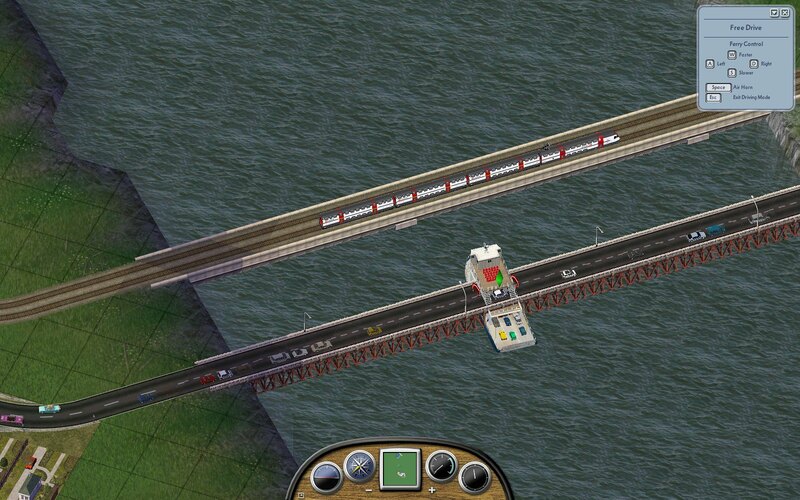 You can even UDI the ferry straight through the bridges. 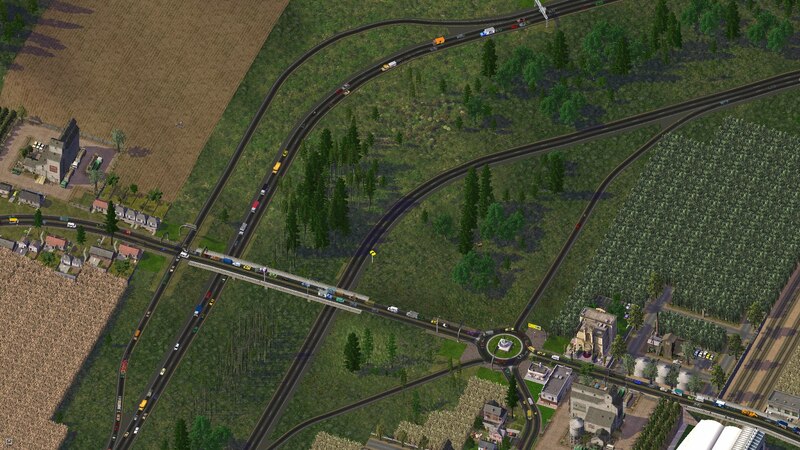 Intersection, he said. 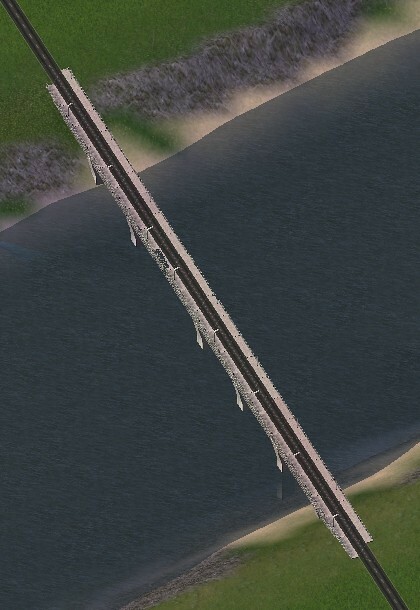 So maybe, the bridge is crossing something in that spot. I don't know and didn't try it out yet, but is it possible to cross a road with the DBE? If you raise back the water, the road beneath would not be visible...?? 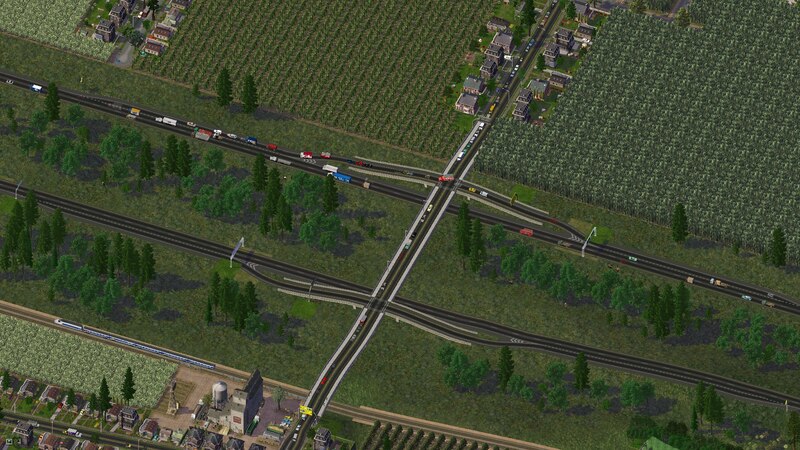 Wow, that highway has a pretty wide median! Check out my MD, United States of Simerica! Do they have to be that wide, though? And McDuell's thing still has me stumped. 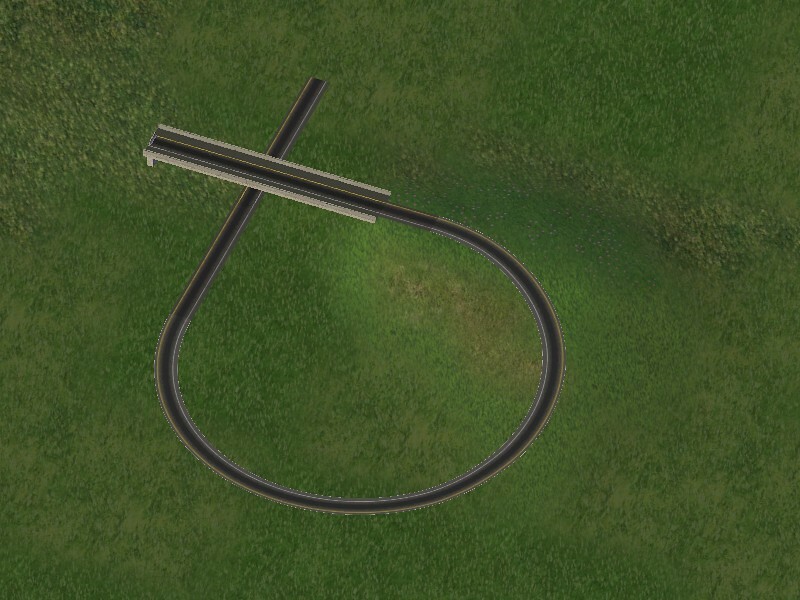 It's been nearly a week and the only thing I can think of is draggable tunnels, but that seems odd somehow. There's a bit of blue to the left, but that's probably just a texture glitch. 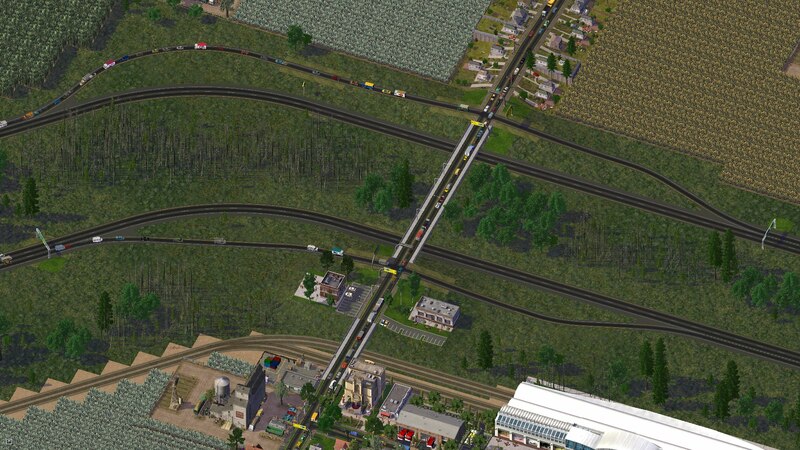 To be honest, I always thought that having a median wider than a couple of meters is a ridiculous waste of space and wondered why you can see a lot of these setups in SC4 pictures around here. 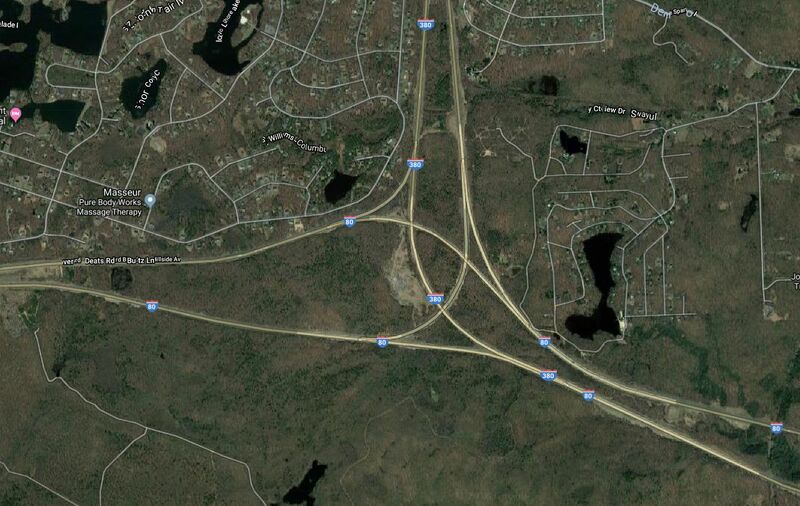 But since the RHW has poked me to actually have a look on some US highways on google maps, I've found a lot of instances where there is in fact a really wide median. And on a second thought: of course I am not used to such medians since the only highways I see day by day are german highways which have to have barriers to separate the carriageway and therefore do not need a wide median (you couldn't afford it either, considering the price and lack of real estate). If you really want to see some wide median action, Interstate 82 in Washington, between Yakima and Ellensburg, has you covered. There's actually a stream (the North Fork of Lmuma Creek) in the median, and you can't see the other side in many spots, due to the distance and the topography. There's some even wider ones out there in the western US--many in mountainous areas--but I'm perhaps the most familiar with that one, having driven it quite regularly for a time (lived in Ellensburg from 2004 to 2006). Page created in 0.422 seconds with 111 queries.